The New York Mets come off a series loss against the Boston Red Sox and will head down to Philadelphia to take on the Phillies. The Mets have had a solid second half so far going 30-25 behind their starting pitching and young bats. The Phillies have struggled mightily during the second half going 23-29 and have gone 4-10 in September and fell out of playoff contention. The Mets have the advantage in the season series taking 10 of the 16 games against their division rivals. Since the All-Star break it is hard to believe anyone could pitch better than Jacob deGrom, but Zack Wheeler has done it. 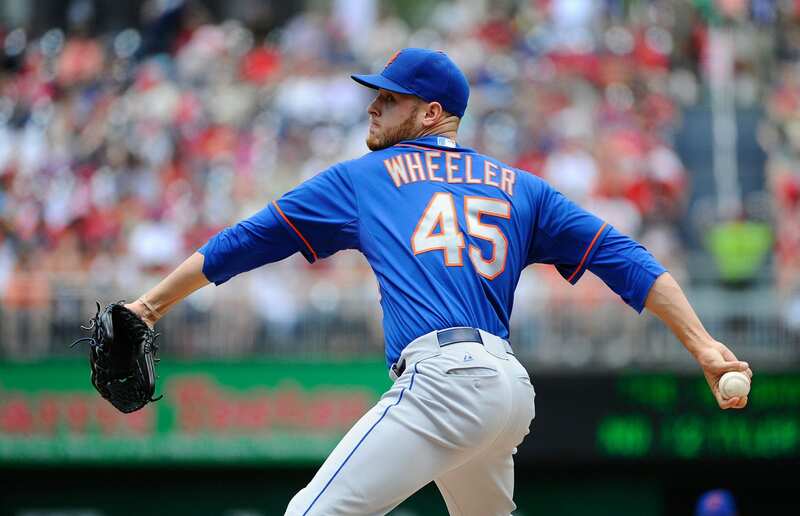 Wheeler has a 1.32 ERA and has struck out 69 batters in 68 innings. He attributes his success to completely letting go whenever he is on the mound instead of trying to keep himself fresh for later in the game. The big four of deGrom, Wheeler, Matz and Syndergaard give the Mets hope they will compete in 2019. It is pretty evident the Mets will not make the playoffs, but their next loss will officially knock them out of playoff contention. That next loss will also prevent the Mets from finishing over the .500 mark for the second straight season. After a tremendous 11-1 start to the season, the Mets quickly faded and were under .500 by June 1st due to their abundance of injuries and managerial blunders. The Phillies were once the Cinderella story of the National League but the dream has turned into a nightmare over the last two weeks. The are currently five games out of the wild card and 6.5 out of the division. No matter how the Phillies finish this season it will be a surprise and a major improvement from last season. The free agency market will have plenty of pieces for the Phillies to bring in and they have the money to strike a deal with Bryce Harper or Manny Machado. Aaron Nola is one of the three front runners for the 2018 Cy Young in the NL. His 16 wins puts him in a tie for second place in the NL and will certainly earn votes from the medieval voters who feel wins are more important than ERA. At age 25, Nola has finally put it all together and will certainly deserve every single vote he gets for Cy Young. He will lead this Phillies rotation for the years to come. What Will The New York Giants Do After The Jon Halapio Injury?